On Tuesday, March 25th, DNV GL Hamburg hosted an official certification ceremony. During this event, the Maritime Regional Manager of DNV GL, Mr. Matthias Ritters, handed over the ISO 9001, ISO 14001 and OHSAS 18001 certificates to Managing Director of Harren & Partner Ship Management GmbH & Co. KG, Mr. Peter Grönwoldt. 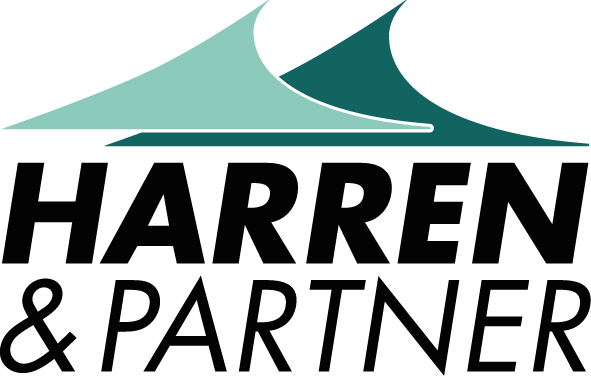 The Harren & Partner Group (H&P) is glad to have its third subsidiary certified to these standards, after the Danish-German joint venture Combi Lift in 2005 and H&P Logistics & Engineering in 2012. "We are proud that DNV GL awarded us these valuable certificates. The certification underlines our management’s determination to comply with these internationally established standards in all our business processes. Moreover, it is the achievement of an important milestone and a valuable reward for our quality and safety efforts”, states Capt. Jacek Hausler, Head of Quality and Safety at the Harren & Partner Group. "Adhering to these standards will help to provide our customers with the best possible services as well as generating a safe and prosperous environment for our staff and all of our stakeholders. It is this level of professionalism that makes a difference in today’s shipping markets." The ISO 9001 standard provides specific requirements for a quality management system that aims at enhancing the organization’s ability to consistently deliver services that meet customer as well as statutory and regulatory needs. The certificate proves that H&P’s Quality Management System has indeed been measured against the standard by the independent certification body DNV GL and indeed found compliant. For the second awarded certificate, international standard ISO 14001, an independent assessment of H&P’s Environmental Management System has been conducted by DNV GL. This standard provides a clear management framework that requires the organization to assess its operational impact on its environment and to understand how those impacts can be managed, while setting clear targets to continually improve environmental performance. Therefore, clearly defined processes and procedures are essential for complying with environmental legal requirements, as well as with any other corporate and stakeholder obligations. The OHSAS 18001 (Occupational Health and Safety Assessment Series) certification system was created by an association of national standard bodies, certification bodies, registrars and specialist consultancies to define occupational health and safety policies and objectives. It is largely aligned with the structure of ISO 14001 and likewise is based on the concepts of continual improvement and regulatory compliance. The OHSAS 18001 standard aims to avoid workplace hazards and is to be able to enhance employees’ confidence and motivation. Driven by its purpose of safeguarding life, property and the environment, DNV GL enables organizations to advance the safety and sustainability of their business. DNV GL provides classification and technical assurance, along with software and independent expert advisory services to the maritime, oil and gas, and energy industries. DNV GL also provides certification services to customers across a wide range of industries and operates in more than 100 countries. Since 1989, when Peter Harren purchased the multi-purpose carrier "ORION III", the Bremen/Haren-based shipping group Harren & Partner has grown to a fleet comprising over 50 vessels of between 4.000 tdw and 76.000 tdw from a wide variety of segments: tankers, container feeder vessels, bulk and heavy lift carriers as well as dock ships and offshore vessels. As owner and Ship Management service provider, the group relies on its high quality and safety standards that are reflected in ISO 9001, ISO 14001 as well as OSHAS 18001 certification.